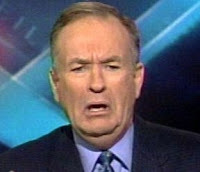 Thank god for Bill O'Reilly. Without him bringing this to our attention, who knows how many may have suffered at the hands of an angry Sappho? Personally, I will be on the lookout for these pink pistol packin' mamas. And when I get a photo of them, I will post it here. And if they break my legs for doing so, it will all be worth it. Anything to prove Bill right. Go Bill! !